London is known for museums, nightlife, shopping, historic sites, and parks. Your plan includes some of its best attractions: explore the historical opulence of Buckingham Palace, admire the masterpieces at National Gallery, take in panoramic vistas at Coca-Cola London Eye, and get engrossed in the history at The British Museum. For where to stay and tourist information, use the London trip itinerary builder tool . Seattle, USA to London is an approximately 12.5-hour flight. You can also do a combination of shuttle and flight; or do a combination of flight and train. Due to the time zone difference, you'll lose 8 hours traveling from Seattle to London. Traveling from Seattle in September, expect London to be little chillier, temps between 67°F and 51°F. Finish your sightseeing early on the 5th (Thu) so you can travel to Dublin. Dedicate the 9th (Mon) to wine at some of the top wineries in the area. Spend the 11th (Wed) among aquatic life with a scuba or snorkeling tour. The adventure continues: admire the landmark architecture of Basilica of the Sagrada Familia, see the interesting displays at Casa Mila - La Pedrera, pause for some photo ops at Casa Batllo, and walk around Parc Guell. To see reviews, where to stay, traveler tips, and tourist information, read our Barcelona online day trip planner . Traveling by flight from London to Barcelona takes 5.5 hours. Alternatively, you can do a combination of train and flight; or take a train. Traveling from London to Barcelona, you'll lose 1 hour due to the time zone difference. Traveling from London in September, expect Barcelona to be a bit warmer, temps between 79°F and 65°F. Finish up your sightseeing early on the 12th (Thu) so you can travel to Lisbon. Change things up with a short trip to Quinta da Regaleira in Sintra (about 36 minutes away). Dedicate the 14th (Sat) to wine at some of the top wineries in the area. There's much more to do: take a stroll through Belém Tower, meet the residents at Lisbon Oceanarium, admire the striking features of Jeronimos Monastery, and make a trip to Praca do Comercio (Terreiro do Paco). To see photos, more things to do, reviews, and more tourist information, read our Lisbon driving holiday planner . You can fly from Barcelona to Lisbon in 5 hours. Other options are to drive; or do a combination of train and bus. Due to the time zone difference, you'll gain 1 hour traveling from Barcelona to Lisbon. In September, daily temperatures in Lisbon can reach 81°F, while at night they dip to 61°F. Wrap up your sightseeing on the 15th (Sun) to allow time to travel to Paris. Change things up with a short trip to Palace of Versailles in Versailles (about 48 minutes away). 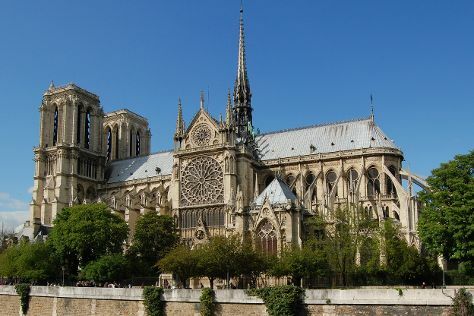 The adventure continues: steep yourself in history at Eiffel Tower, wander the streets of Le Marais, admire the landmark architecture of Cathédrale Notre-Dame de Paris, and admire the natural beauty at Luxembourg Gardens. For photos, other places to visit, where to stay, and other tourist information, read our Paris trip itinerary app . Getting from Lisbon to Paris by flight takes about 5.5 hours. Other options: do a combination of flight and train; or drive. The time zone difference when traveling from Lisbon to Paris is 1 hour. In September, Paris is little chillier than Lisbon - with highs of 70°F and lows of 53°F. Wrap up your sightseeing on the 21st (Sat) early enough to travel to Dublin. Dublin is known for museums, breweries & distilleries, nightlife, parks, and historic sites. Your plan includes some of its best attractions: explore the galleries of Kilmainham Gaol, stroll through Phoenix Park, make a trip to The Book of Kells and the Old Library Exhibition, and enjoy the scholastic atmosphere at Trinity College Dublin. For traveler tips, ratings, more things to do, and more tourist information, use the Dublin trip builder tool . Traveling by flight from Paris to Dublin takes 5 hours. Alternatively, you can do a combination of train and flight; or do a combination of flight and bus. The time zone changes from Central European Time to Greenwich Mean Time, which is usually a -1 hour difference. Traveling from Paris in September, expect Dublin to be little chillier, temps between 62°F and 48°F. Finish up your sightseeing early on the 23rd (Mon) so you can travel to Amsterdam. Kick off your visit on the 24th (Tue): explore the world behind art at Rijksmuseum, explore the world behind art at Van Gogh Museum, and then tour the pleasant surroundings at Vondelpark. Keep things going the next day: explore the world behind art at Museum Het Rembrandthuis (Rembrandt House), then hunt for treasures at Albert Cuyp Market, then indulge your thirst for a good beer at Heineken Experience, and finally see the interesting displays at Anne Frank House. To find maps, photos, where to stay, and tourist information, refer to the Amsterdam trip itinerary planning site . Fly from Dublin to Amsterdam in 4.5 hours. Alternatively, you can do a combination of flight and train; or do a combination of bus and flight. You'll lose 1 hour traveling from Dublin to Amsterdam due to the time zone difference. In September, plan for daily highs up to 67°F, and evening lows to 52°F. Wrap up your sightseeing on the 25th (Wed) early enough to travel to Copenhagen. Take a break from Copenhagen with a short trip to Kronborg in Helsingoer, about 48 minutes away. 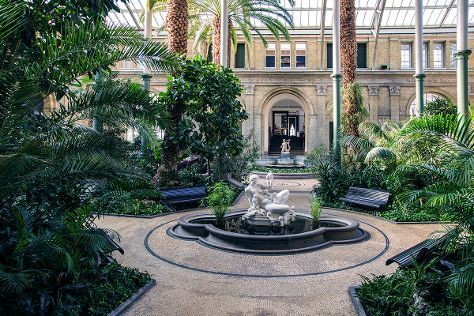 There's much more to do: see the interesting displays at Ny Carlsberg Glyptotek, take in panoramic vistas at Rundetaarn, explore the historical opulence of Rosenborg Castle, and get to know the fascinating history of Nyhavn. For maps, ratings, more things to do, and tourist information, use the Copenhagen travel route builder app . You can fly from Amsterdam to Copenhagen in 4.5 hours. Other options are to drive; or take a train. In September in Copenhagen, expect temperatures between 65°F during the day and 51°F at night. Finish up your sightseeing early on the 2nd (Wed) so you can travel to Prague. Prague is known for historic sites, nightlife, museums, fun & games, and zoos & aquariums. Your plan includes some of its best attractions: take a stroll through Old Town Square, get to know the fascinating history of Prague Castle, take some stellar pictures from Vyšehrad National Cultural Monument, and admire the striking features of Prague Astronomical Clock. Start your trip to Prague by creating a personalized itinerary on Inspirock. Traveling by flight from Copenhagen to Prague takes 4.5 hours. Alternatively, you can drive; or take a train. Expect a daytime high around 56°F in October, and nighttime lows around 43°F. Cap off your sightseeing on the 5th (Sat) early enough to travel to St. Petersburg. Built on a desolate swamp as a showcase capital of Imperial Russia, this grand city has certainly lived up to the expectations of its founder, Tsar Peter the Great. St. Petersburg is known for museums, historic sites, parks, nightlife, and shopping. Your plan includes some of its best attractions: explore the world behind art at The State Hermitage Museum, browse the exhibits of Saint Isaac's Cathedral, take in the architecture and atmosphere at Church of the Savior on Spilled Blood, and steep yourself in history at Peter and Paul Cathedral Петропавловский собор. To see maps, reviews, ratings, and other tourist information, refer to the St. Petersburg tour itinerary planner. Traveling by flight from Prague to St. Petersburg takes 6 hours. Alternatively, you can drive; or take a train. Traveling from Prague to St. Petersburg, you'll lose 2 hours due to the time zone difference. Plan for little chillier temperatures traveling from Prague in October, with highs in St. Petersburg at 46°F and lows at 36°F. Finish up your sightseeing early on the 9th (Wed) so you can travel to Istanbul. Istanbul is known for historic sites, museums, shopping, nature, and nightlife. Your plan includes some of its best attractions: get engrossed in the history at Hagia Sophia Museum / Church (Ayasofya), contemplate the long history of Galata Tower, take in the spiritual surroundings of Sultan Ahmed Mosque, and wander the streets of Ortakoy. To see reviews, other places to visit, traveler tips, and more tourist information, read our Istanbul day trip planner. Traveling by flight from St. Petersburg to Istanbul takes 7.5 hours. Alternatively, you can drive; or take a bus. In October, Istanbul is much warmer than St. Petersburg - with highs of 76°F and lows of 73°F. Cap off your sightseeing on the 14th (Mon) early enough to travel to Budapest. Budapest is known for historic sites, spas, nightlife, museums, and nature. Your plan includes some of its best attractions: admire the landmark architecture of Parliament, pause for some photo ops at Hősök tere, snap pictures at Szechenyi Chain Bridge, and contemplate the long history of Matthias Church. Plan my day in Budapest using traveler tips and tourist information provided by Inspirock. You can fly from Istanbul to Budapest in 6 hours. Alternatively, you can do a combination of shuttle and flight; or drive. Traveling from Istanbul to Budapest, you'll gain 2 hours due to the time zone difference. While traveling from Istanbul, expect little chillier days and much colder nights in Budapest, ranging from highs of 61°F to lows of 43°F. Finish your sightseeing early on the 17th (Thu) to allow enough time to travel to Venice. Venice is known for historic sites, nature, museums, nightlife, and shopping. Your plan includes some of its best attractions: explore the activities along Canal Grande, explore the world behind art at Gallerie dell'Accademia, steep yourself in history at Ponte dei Sospiri, and admire the striking features of Doge's Palace. To find more things to do, where to stay, photos, and tourist information, use the Venice trip planner . Fly from Budapest to Venice in 5 hours. Alternatively, you can drive; or take a shuttle. Traveling from Budapest in October, expect a bit warmer with lows of 51°F in Venice. Cap off your sightseeing on the 20th (Sun) early enough to catch the train to Florence. Florence is known for museums, historic sites, shopping, nightlife, and parks. Your plan includes some of its best attractions: explore the world behind art at Uffizi Galleries, contemplate in the serene atmosphere at The Baptistery of St. John, see the interesting displays at Pitti Palace, and admire the landmark architecture of Campanile di Giotto. For other places to visit, maps, and other tourist information, read Florence holiday planning tool . You can take a train from Venice to Florence in 2.5 hours. Alternatively, you can drive; or take a bus. In October, daytime highs in Florence are 71°F, while nighttime lows are 54°F. Cap off your sightseeing on the 23rd (Wed) early enough to catch the train to Rome. Rome is known for historic sites, nightlife, museums, classes, and shopping. Your plan includes some of its best attractions: steep yourself in history at Colosseum, admire the landmark architecture of Pantheon, wander the streets of Trastevere, and explore the world behind art at Vatican Museums. For ratings, where to stay, and tourist information, you can read our Rome trip itinerary tool . Traveling by train from Florence to Rome takes 2 hours. Alternatively, you can drive; or fly. October in Rome sees daily highs of 73°F and lows of 55°F at night. Wrap up your sightseeing on the 26th (Sat) to allow time to travel to Athens. Kick off your visit on the 26th (Sat): pause for some photo ops at Temple of Olympian Zeus, take an in-depth tour of Acropolis Museum, and then contemplate the long history of Acropolis of Athens. 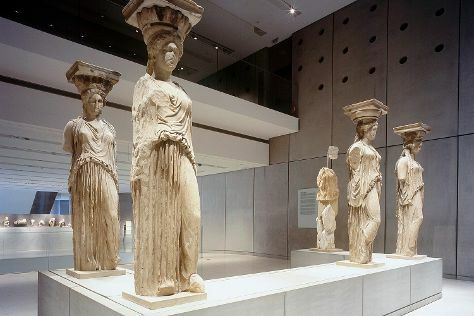 Get ready for a full day of sightseeing on the next day: admire the masterpieces at National Archaeological Museum, then explore the world behind art at Benaki Museum, and then wander the streets of Plaka. To see photos, maps, ratings, and other tourist information, read our Athens day trip planning website . Traveling by flight from Rome to Athens takes 5.5 hours. Alternatively, you can do a combination of train and flight; or take a bus. The time zone difference when traveling from Rome to Athens is 1 hour. In October, daily temperatures in Athens can reach 75°F, while at night they dip to 60°F. Finish your sightseeing early on the 27th (Sun) so you can travel to Akrotiri. Kick off your visit on the 28th (Mon): delve into the distant past at Akrotiri, then enjoy the sand and surf at Perivolos, then make a trip to Megalochori - Traditional Village, and finally enjoy the sand and surf at Red Beach. Here are some ideas for day two: examine the collection at Tomato Industrial Museum, learn about winemaking at Santo Winery, then identify plant and animal life at Santo Horse Riding, and finally enjoy the sand and surf at Caldera Beach. To find traveler tips, where to stay, photos, and tourist information, go to the Akrotiri online trip builder . Traveling by flight from Athens to Akrotiri takes 4.5 hours. Alternatively, you can ride a ferry; or do a combination of flight, taxi, and ferry. October in Akrotiri sees daily highs of 74°F and lows of 63°F at night. Wrap up your sightseeing by early afternoon on the 30th (Wed) to allow time for travel back home.